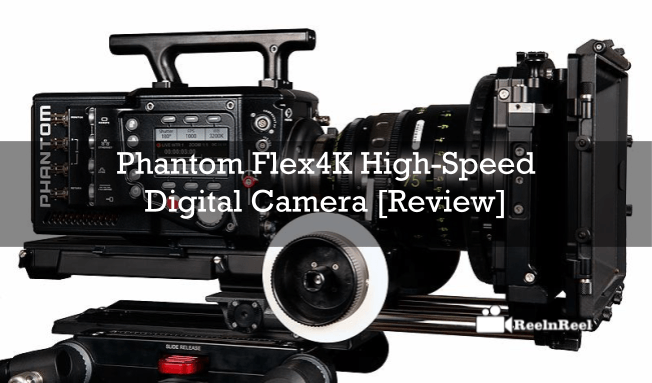 The Phantom Flex4K High-Speed digital camera is a digital cinema camera. This camera is designed especially for cinematographers. The camera can capture excellent images even in low light. There are temperature control and other advanced specifications that make this camera the first choice for many professionals. The Phantom Flex4K High-Speed digital camera comes with convenient camera controls. Apart from the common parameters such as frame rate, exposure time, capture, trigger, playback and save controls, there are other features such as universal capture. Let us now see the specifications of the Phantom Flex4X High-speed digital camera. Pixel size is 27.7 x 15.5 mm and the sensor @ 1080 p is 13 x 7.3 mm. the lens mount is PL Standard, Canon EOS and Nikon F/G. Recording media is Phantom CineMag IV. The size of the camera is 11.5 x 5.0 x 7.9 inches and it weighs 14 lbs without lens or viewfinder. Power input is 1X 3 pin 24V input, and 12V power aux outputs 1X two pin Lemo, 1X4 pin Hirose for the monitor, 1 X 8 pin Fischer for optional software operation and file download Ethernet, 1 X5 pin Fischer for RS232 & + 12-24v DV remote. We will now look at some other key features of the Phantom Flex4x high-speed digital camera. It comes with 128 GB of internal memory. Optionally integrated battery mount was supporting industry standard batteries, interchangeable lens mount between PL and Nikon F/G standards and Canon EF. It is also offered with Mac and Windows-based software. Pros of the Phantom Flex4K high-speed digital camera are 4K at up to 1000 fps, low noise, recording of ultra high speed and standard frame rates and support to RAW and compressed recording formats. It is possible to record for longer times depending on the resolution of the camera, frame rate and size of memory recorded to. At the maximum resolution and frame rate of the camera, 5 seconds of video is captured to 64GB. Similar to other Phantom devices, Flex4K also generates raw cine files. There are compatible with many colour grading software packages, or the software that comes with the camera can be used to convert to different formats. Memory can be partitioned for multi-line. The Phantom Flex4K high-speed digital camera ‘s sales box contains the power supply, the Ethernet cable, Flex4K MiniBOB, windows based Phantom PCC software, Mac-based Glue tools, and user manual. An HD OLED viewfinder also comes as a part of the system. And it comes with full HD resolution, good quality optics and crisp and bright display. The Phantom Flex4K high-speed digital camera is offered with up to 64 GB Gigabytes of Internal RAM. If you want to record at high speed, choose the loop mode. The recordings are stored in the RAM buffer, and the files can offload to CineMag IV, available in different sizes up to 2 TB. If you are recording for a longer time, try the Run/stop mode which directly records to the Cinemag IV. Another workflow option is recording the HD-SDI video playback. The Phantom Flex4K high-speed digital camera can be used to write the recorded raw or compressed files to the CineMag. There are benefits with both. Raw files are uncompressed and compatible with processing color grading systems. The camera comes with software that can be used to convert the files into a variety of formats. Another option is to save the industry standard compressed files to the CineMag IV directly. The record time, however, is increased in this and the file size is decreased. If you do not require raw files, you can opt for this.